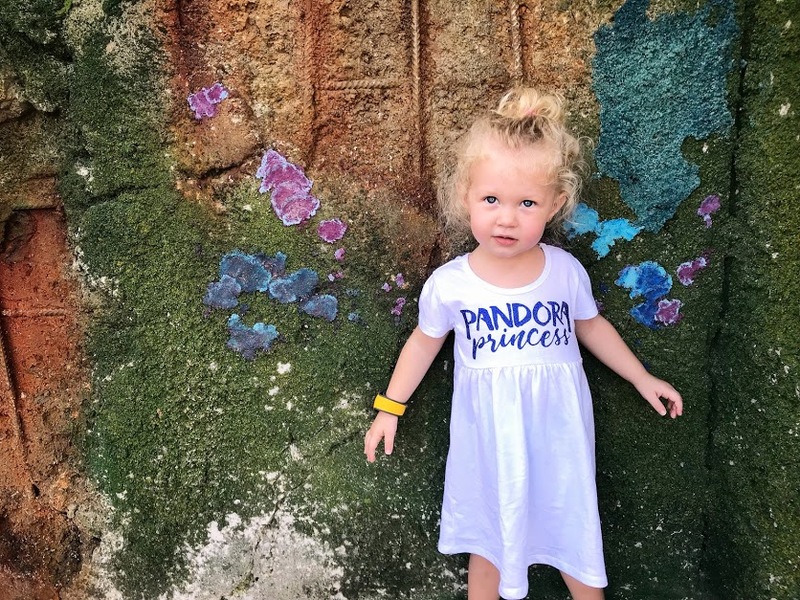 We’re always showing off our princess side at Disney! 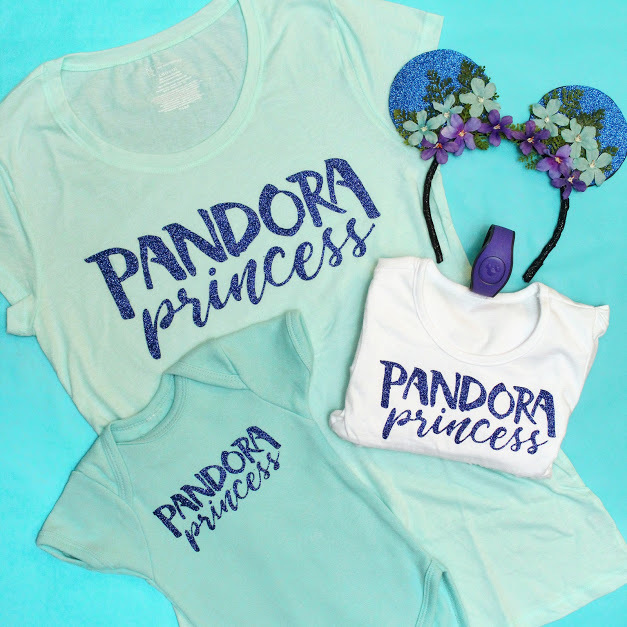 Before you Visit Pandora at Walt Disney World Resort’s Animal Kingdom, learn how to make these adorable Pandora Princess shirts. FREE cut file and directions below. This post contains affiliate links. I made my shirts using a Cricut cut machine. If you don’t already have a Cricut or Silhouette, this project method won’t work for you. Start by gathering all your materials. When shopping for shirts, I like to go with a cotton blend and (when time allows) I always try to wash and dry the clothing beforehand. Go to www.cricut.com/design and upload this png file. Insert the image and size it for the kind of shirt you’re making. 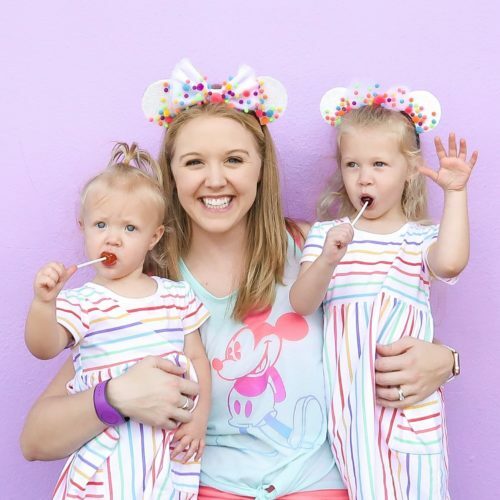 I did 11″ wide for my shirt, 8″ for my toddler (size 2T) and 6″ for my infant (size 12 months). Select ‘cut now’ and be sure to mirror the image. You’ll want to load the heat transfer vinyl plastic side down. 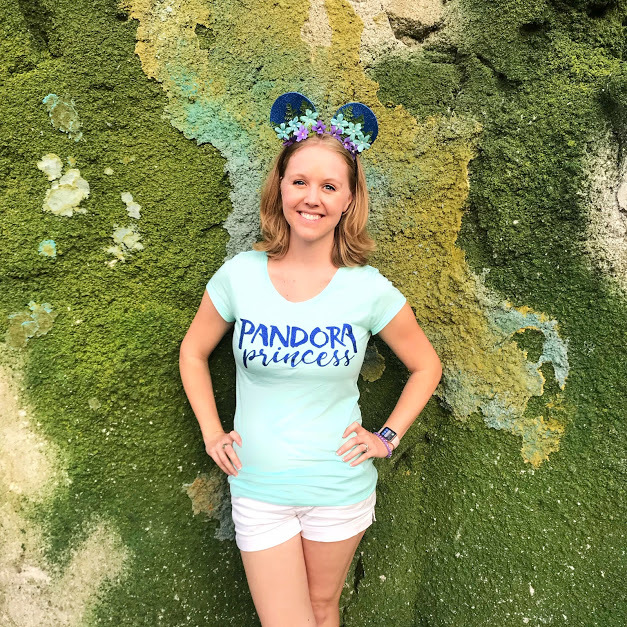 I chose royal blue glitter vinyl for our shirts. Once the image is cut you’ll need to ‘weed’ the image. Pull off the pieces of vinyl you don’t want ironed on. This should leave the design you ACTUALLY want still on the clear plastic. This can be a tedious process but be patient and go slow.